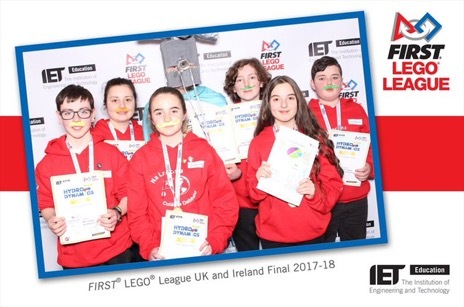 Bhí ‘Na Laochra’, an fhoireann scoile ag glacadh páirte sa First Lego League, san iomaíocht i gCraobh an Ríocht Aontaithe agus na hÉireann an deireadh seachtaine seo caite. Reachtáladh é in Ollscoil Iarthar Shasana i mBristol. Chaith an fhoireann dhá oíche sa chathair agus an Craobh ar siúl don lá ar fad Dé Sathairn. Bhlaiseadair imeachtaí cultúrtha Bristol ar nós an S.S. Great Britain de chuid Brunel agus rudaí eile roimh agus tar éis an chomórtais Dé Sathairn. D’éirigh go hiontach leo ar son na tíre, an chontae, na scoile agus a gclann cé nár thógadair abhaile corn leo. Bhí na moltóirí agus iomaitheoirí eile an-tógtha lena gcuid iarrachtaí agus an cumas a léiríodar thar an deireadh seachtaine. Táimid, mar scoil, fíorbhródúil as na daltaí a ghlac páirt sa tionscadal agus a bhain an Craobh amach don chéad uair. Maith sibh, Abigail Ní Bhriain, Chloe Alavoine, Maria Ní Choimín, Tom Bonté, Jordan Ó hAodh, Alexander Ó Lachtnáin agus Aindriú de Faoite. Caithfimid buíochas a ghabháil don Phríomhoide, Máistir Ó Laighin, as ucht a chuid oibre leo ó Mheán Fómhair ar aghaidh agus d’Iníon Uí Loingsigh agus an Leas-Phríomhoide, Máistir Ó Síodhcháin a thaisteal leo ag an deireadh seachtaine. ‘Na Laochra’, the school team who took part in the First Lego League, competed in the UK and Ireland Finals in Bristol, England at the weekend. The Finals were held in the University of Western England, Bristol. The team spent two nights in the city while the finals were held on Saturday. 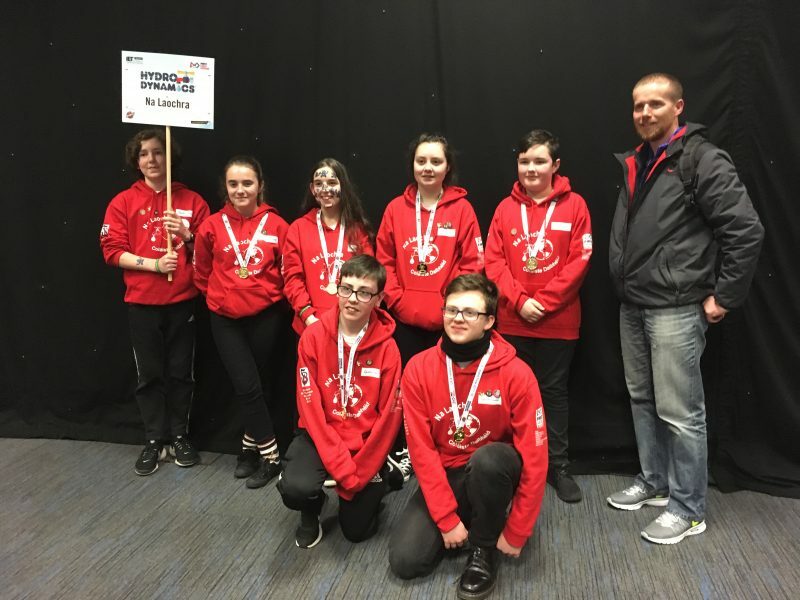 They acquainted themselves with Bristol by visiting Brunel’s S.S. Great Britain and spending time enjoying the cultural side of activities before and after competition time on Saturday. 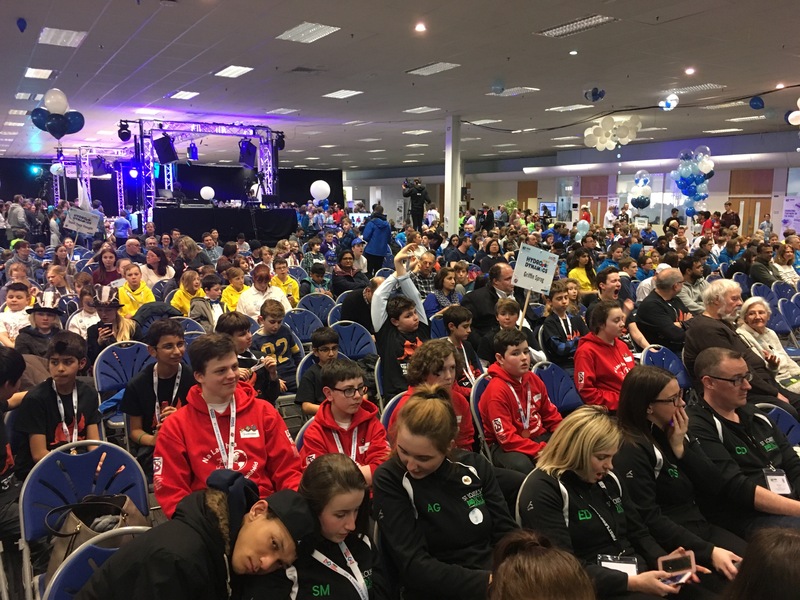 Despite not bringing home a trophy they represented the country, their county, school and families with distinction. 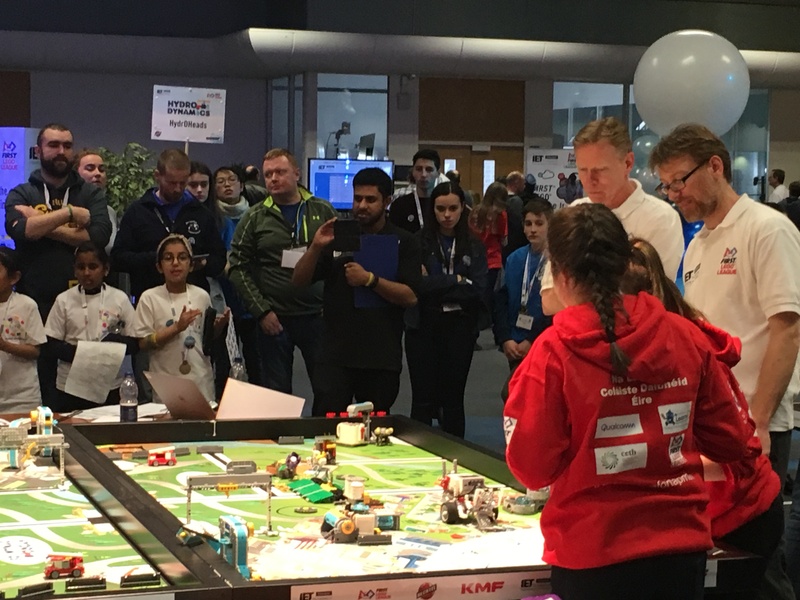 The judges and fellow competitors were very impressed with their efforts and the ability they displayed over the weekend. As a school, we are extremely proud of the students who took part in this project and reached this final at the first time of asking. Well done to Abigail Ní Bhriain, Chloe Alavoine, Maria Ní Choimín, Tom Bonté, Jordan Ó hAodh, Alexander Ó Lachtnáin and Aindriú de Faoite. We must also thank our Principal, Máistir Ó Laighin, for his dedication and work with the team since September. 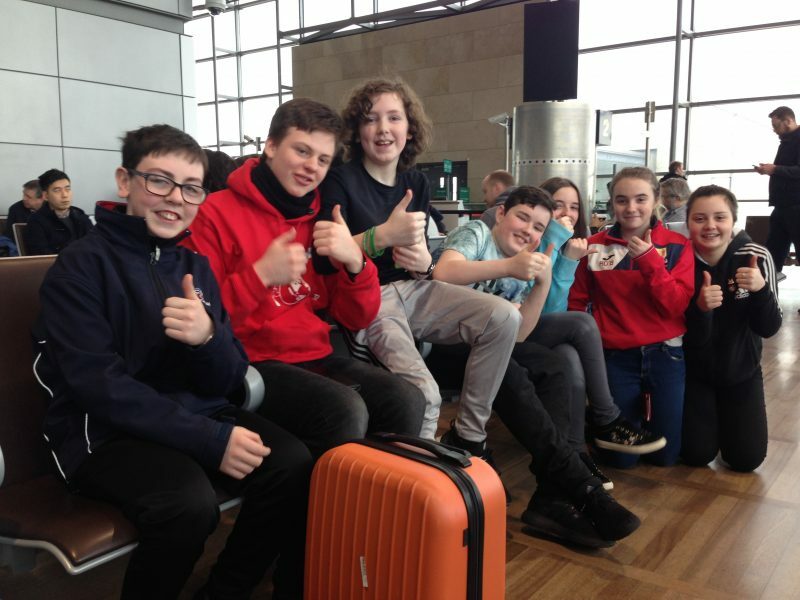 Thanks also to Iníon Uí Loingsigh and Deputy Principal, Máistir Ó Síodhcháin, for travelling with the group at the weekend.